Kia parts are the highest-quality products available for your Kia vehicle. 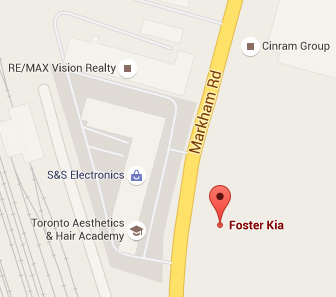 At Foster Kia, our Parts Department carries a full line of genuine Kia products designed and manufactured to keep your Kia vehicle running at peak performance. Whether it be oil and fuel filters or alternators and tires Foster Kia has Quality Kia parts to keep you safe on the road. Remember, others claim to be experts at everything. We specialize in only one - Kia original parts. Our Parts Specialists are knowledgeable about Kia Vehicles and what they need to stay strong. They can help you find the right part you are looking for. To order parts quickly online, use our Parts Request form. We respond to all requests promptly via your preferred method of contact to confirm your order. Having trouble locating the right accessory or gift item? Contact our Parts Department at (416) 291-7733. We carry a full line of Kia accessories including moulded hood protectors, bed liners, floor mats, clothing and gift items.